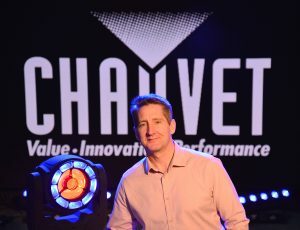 NOTTINGHAM, UK – Lighting industry veteran Matt Hallard has been appointed Chauvet UK Sales Manager and will be responsible for CHAUVET Professional, CHAUVET DJ and Iluminarc lighting products in the UK and Ireland. Hallard has diverse experience in the lighting industry. Prior to joining Chauvet, he was a shareholder and Director at Limited Edition Event Design, a full-service design company with offices in London and Cannes. Before holding that position, he was with Martin Professional, first as the Business Development Manager for the Concert/Touring division and later as UK Sales Manager. He was also European Sales Manager for Philips Vari-Lite for many years, as well as a Project Manager for Production Resource Group Europe.